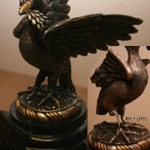 At Alpha Gifts and Awards we pride ourselves on our ability to repair and restore awards to the highest standard. We use the latest state-of-the-art equipment and combine our years of experience with passion for our craft to repair all sorts of trophies and awards to a like-new condition. 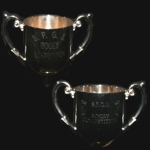 Our specialist trophy repairs include welding, re-plating, polishing, engraving removal and re-engraving to restore your award to its former glory. 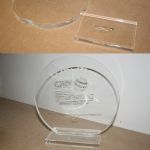 We take meticulous care to ensure your award is in top condition before sending it back to you; whether you have a trophy cup with a broken handle or a shield award that needs re-polishing, our specialists can help. 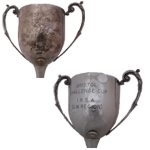 At Alpha Gifts and Awards we use specialist equipment to ensure we can carry out the high quality trophy restoration that we are known for. We have trophy polishing machinery and use mops, rouges and skilled polishing techniques to ensure your award is sparkling. 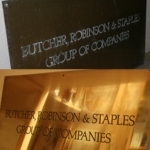 This process is used to remove engraving where necessary, while any new engraving is applied after the award has been re-plated with silver if required. 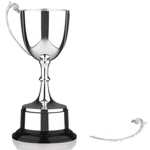 Our specialist techniques, years of experience and professional equipment make Alpha Gifts and Awards the one stop shop for trophy repairs and award restoration. We even repaired U2’s Grammy! 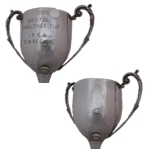 Please take a look at our trophy repair and restoration services below. 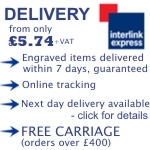 If you would like more information please call us on 01823 288582.